It's back to South Australia to sample a most interesting cheese from Woodside Cheese Wrights. 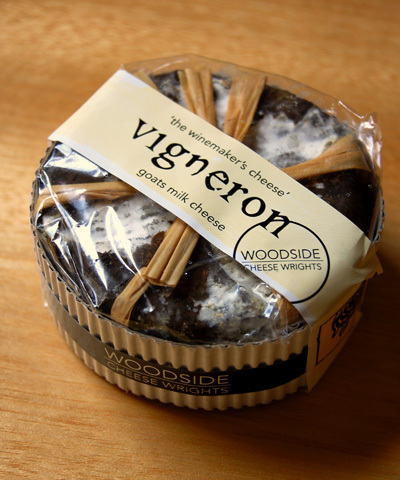 As mentioned in an earlier post, Woodside is now owned by Coriole Vineyards and this cheese is very much a product of that relationship. 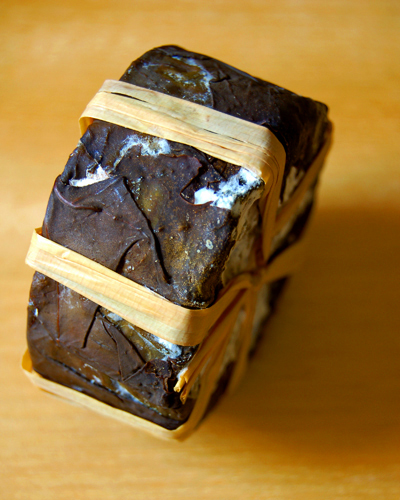 This is a white mould goats' milk cheese. 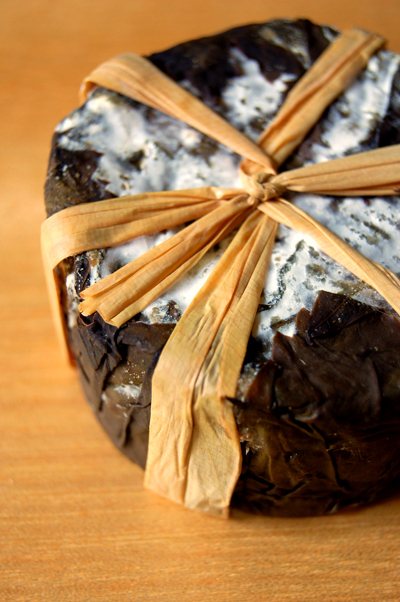 There's quite an earthy scent coming from this cheese with an undertone of piquancy from the vine-leaf. Appearance wise, it's certainly one that will be sure to gain attention. 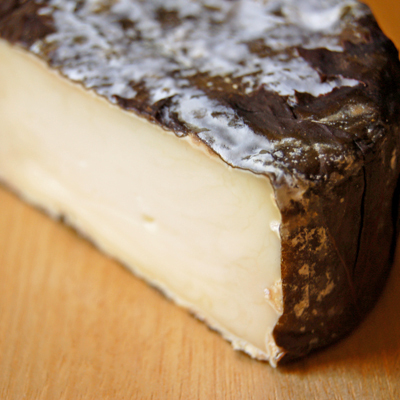 Inside, it has that typical goat cheese "whiteness" - this still has a couple of weeks to go to reach peak maturation. The centre is quite creamy but mild and as you move out the flavours develop - the vine-leaf adds a sharp, acidic quality which cuts across the creamy core. I would class this as a cheese for the more adventurous.